In a presentation titled Constantly Connected - The Role of Humans in the Digital Revolution, Digital Anthropologist Rahaf Harfoush shared with attendees at the 2018 #GovTechLive Forum five ways technology is shaping humans in the digital age. Rahaf pointed out that we shouldn't be afraid by what we hear, but rather we should use the knowledge as power so that we control our technology rather than become slaves to it. We have moved from a time of data scarcity to data abundance. We are surrounded by information 24/7. This can leave some feeling overloaded and overwhelmed. We can't read everything on the internet and that's okay. However, in many cases the policies and philosophies of organizations are old fashioned and come from a period of data scarcity. They are still using tools like email, voicemail, and f2f meetings, all invented by people who were born last century, even though we are in a radically different world with newer and smarter tools. Slack, Workplace, and Teams. By updating practice with tools like Slack, Workplace, Teams, collaborative documents, etc., companies can improve performance, strengthen relationships, increase productivity prevent mistakes and more. Consider this: How is are place of work updating practice in a time of data abundance? The way we currently consume media is in relation to us. The internet gets to know us and feeds us what we want to hear and agree with. This results in echo chambers and amplification of ideas we believe. As a result we are mistaking opinions for beliefs. Consider this: What strategies can employ to combat this? For example, use incognito mode when doing searches so that the results are not personalized to you. Explore a digital diet that includes a variety of views, especially those that differ from yours. The lines between our real identities and online identities are blurring which will affect what’s in store for our future. People are embedding their belief systems into technological code. Consider this: Be aware of the belief systems our tools have. For example, think of Facebook and its creator Marc Zuckerberg. How does he feel about privacy and how does that affect Facebook as a tool? Technology continues to dissolve the boundaries between our online and offline worlds with tools like AR and VR. We are merging them together to create new experiences and perspectives.This is also giving rise to a more connected global population. Consider this: How can technology help us find new spaces and places for staff and/or students to engage? Ecosystems are the broadest base of digital platforms. They can have high or low intimacy with long or short term engagement. These digital ecosystems are changing society in ways in which many of us are unaware. 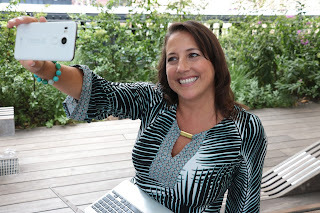 Consider this: Are we holding ourselves accountable for the impact of our technology? What do you think? How has tech shaped you? Your colleagues? Your students? What are you doing to address this? How are you helping your students? What is your employer doing? Millennial expert Gabrielle Bosché spoke to attendees at the 2018 #GovTechLive forum to share advice for those wanting to retain millennial staff. If you're an innovative educator you care about this because these are your colleagues (or yourself) aged 22 - 37 in 2018. 1) Onboarding: How are you making your new millennial hires feel a part of something they want to stick with? If you miss this, you will be much less likely to retain this staff member. 2) Mentoring: What type of mentoring/peer mentoring / collaborative mentoring opportunities are you providing for your milliennial employees? 3) Training: By training, this is more than just hard skills. Millennials want soft skill training in areas like conflict resolution, managing up, managing expectations, and health and wellness. 1) Expectations: Millennials want to know your expectations at the start and they want to know how they are doing. You can help a millennial know how they're doing using the stoplight strategy. Yellow: Improve that. Here's how. 2) Context: Don't just tell a millennial what work needs to be done. Provide the context so they can make sense of where this fits into the bigger picture. 3) Purpose: Millennials don't want to just be hired for their skill. They want to be hired for their passion and their story. Ideally, millennials want to have a story that connects to the purpose of the work they do at an organization. Know your millennial's story and how their story connects to your organization's purpose. What do you think? Would these strategies and programs resonate with the millennials where you work? Does your employer implement strategies and programs like this? What might be different for other generations? Before educators can help students get to the learning, we must first ensure we help students feel good about themselves. 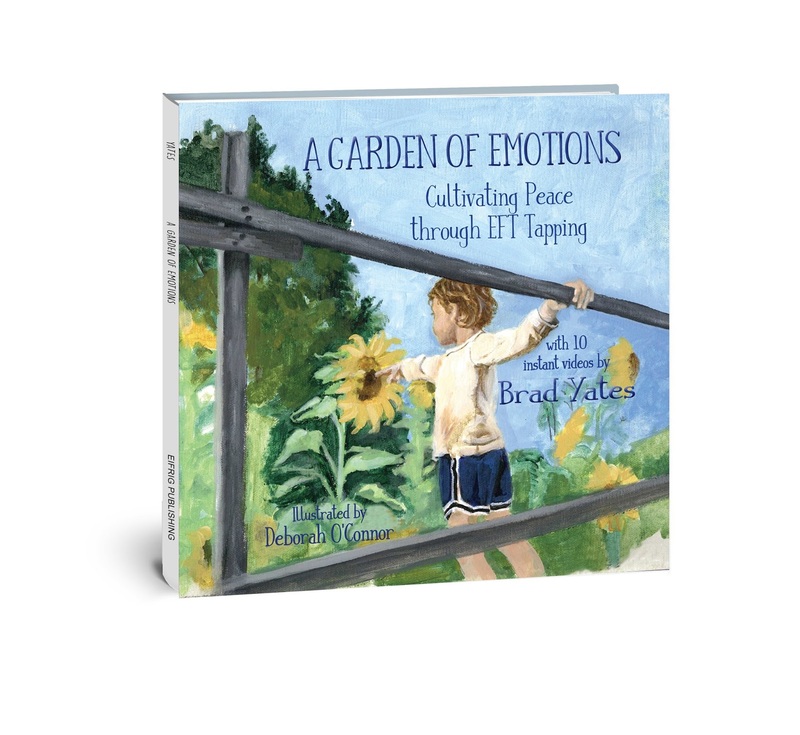 Educators can help students with this by providing Emotional Freedom Techniques (EFT) to help them cultivate feelings of peace, satisfaction, calm, positivity, kindness and happiness. EFT, often referred to as tapping, can provide the tools kids need to get through emotions like stress, anxiety, sadness, fear, or shame without letting them get out of hand. Educators can now easily bring this to the classroom with a new book called, “A Garden of Emotions: Cultivating Peace through EFT Tapping.” It features 10 affirmations that teachers can use with their students. Each affirmation has a description as well as a QR code with a video session by leading EFT Tapping expert Brad Yates. After reading the book to herself first, the teacher may choose to read the children’s part of the book to students starting on page 12. Each section has beautifully painted illustrations that accompany each of the ten emotions. When students are introduced to each emotion, in the future, they can have a say in which session they may want to follow. The first video session on “Having a Good Day” is a sensible one to start with as it has more general tapping phrases that will apply to the whole class. Some days, perhaps after recess or before an assessment a session on “Focusing: Getting the Wiggle Out” will make sense. Teachers will want to let parents and administrators know that tapping has been used and tested in the classroom. The research and evidence shows it is an effective tool for resilience, self-regulation, trauma and stress-related disorders. It is also ‘promising’ for depression, well-being; phobia, panic, and anxiety; and ‘unspecified’ and other mental health disorders. It is also something that parents may want to do with their children. The videos can be opened on any device and also saved for instant access with or without the internet using the free Stkr.it app. The learning never stops for Innovative educators. When you’re jogging, cleaning, driving, or out walking your dog, a podcast provides a great way to keep the learning going while you’re doing something else. Here is my current podcast list. The 10-minute teacher is a 5-day a week show for remarkable teachers from around the world who are very busy. Every weekday get inspired with quick interviews of important trends, topics, and tools impacting K12 teachers. 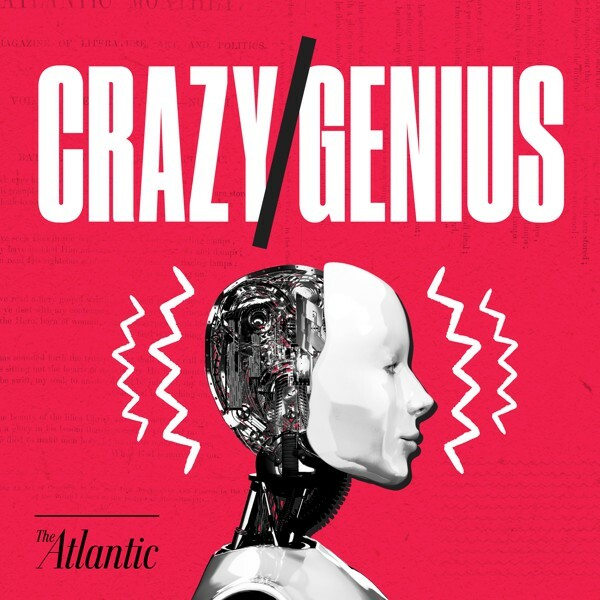 Big questions and provocative conclusions about technology and culture. 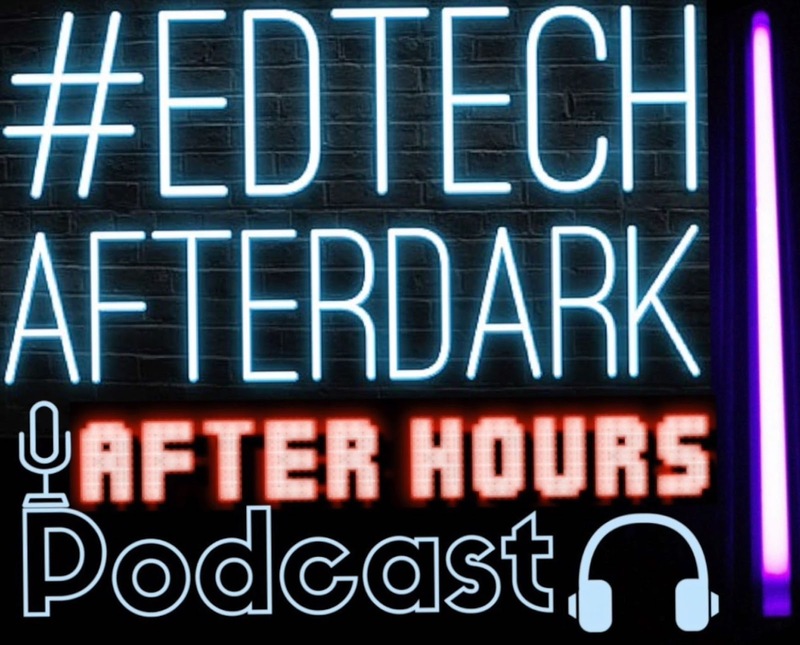 EdTechAfterDark is more than just a discussion about education or technology. It's an idea. An idea that even when the sun goes down, our school communities never stop moving forward for our children. 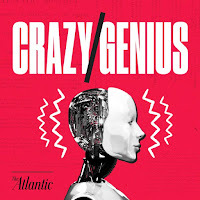 Discover the hidden side of everything with each week as Freakonomics Radio tells you things you always thought you knew (but didn’t) and things you never thought you wanted to know (but do) — from the economics of sleep to how to become great at just about anything. Hosts: Modern Learners - Will Richardson and Bruce Dixon. The #NYCSchoolsTech Podcast amplifies the innovative practices of NYCSchoolsTech staff and inspires others in NYC and beyond. 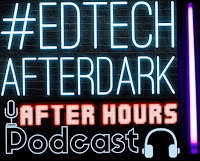 These are podcasts that I listen to or have been recommended to me by #NYCSchoolsTech colleagues including Lori Stahl-Van Brackle, Clemencia Acevedo, SteveBorba, and Kim Landman. When talking with some colleagues we were discussing this and found out how to stop that from happening. Step 1 - Go to "Settings"
Step 2 - Go to "Media and Contacts"
Step 3 - "Choose when videos autoplay"
I like the videos so I selected "On Wi-Fi connections" but you may want to select "Never autoplay videos." Do this and your monthly data fee is sure to go down. Educational institutions are becoming more and more aware of the importance of branding staff and schools in our digital world. However schools and districts often don't consistently have and/or use their logo and slogan in their materials. In fact often staff do not even know their slogan and in many cases if they do, it does not seem meaningful or relevant and/or they are unsure where it even came from. Your Slogan: What Do You Stand For? To begin thinking about branding you can start by thinking about yourself, what you stand for and what a consistent slogan can be across platforms. From there you can think about your employer. My slogan is, "Passionate about real and relevant learning." Once you have your slogan, you can begin to create your logo. A convenient site for that is an online logo maker called DesignEvo. From there you can customize the design and the words. It all can be done in a matter of minutes. Easy peasy. I designed one for myself which you can see below. There are so many ways this could be used in a school setting. For example students could design logos for themselves. From there they could have a contest for a class logo. Each class could submit a possible school logo that could be voted upon. Do you have a logo and slogan for yourself, school, or district that is predominately displayed in digital and physical spaces? If you do, how does that help the community come together and get on the same page about what you stand for? If you do not, what are you waiting for? Hop on over to DesignEvo and give it a try. Post this on your wall for 2018/2019 school year as a reminder of all the dates you can celebrate ways to prepare modern learners. Do you have friends who are you sending around this ridiculous message? They’re sending it even though they didn’t get another friend request and even if they did, why would it make any sense to forward a message to people about something you supposedly received from someone else? And, if this person received a friend request from you, why would they ask you not to accept a friend request from them? People are not even bothering to comprehend what they are carelessly sharing with others. Friends are forwarding this, posting it on their Facebook timelime, even going as far as deleting messenger (the best platform-agnostic tool in which to communicate) over a silly, nonsensical, fake, chain post. People are also getting mad at Facebook rather than the friends who are spreading spam. People are also spreading incorrect advice suggesting folks change their password. This does nothing if someone has cloned your account. Cloning an account is something that can happen by someone creating an account using your pictures to make it look like your account. Changing your password does nothing. Reporting the account does. More on that here. If you have not verified something is true, keep it to yourself. If you don’t have the time to verify it, keep it to yourself. If you like the idea, and don’t care if it’s verified, keep it to yourself. If you don’t care if it’s true, you think it is interesting and want to share, keep it to yourself. If you can't help yourself because you love sending spammy chain messages to people, resist the urge, keep it to your self. If you don’t want to keep it to yourself, you are being an irresponsible digital citizen and that makes your friends uncomfortable and suspect of what you say and share. Wisdom Amouzou shared his approach to developing a community high school with education leaders across the country at the Tech & Learning Leadership Summit in Denver, CO. The Community Design Team consists of 23 students, 8 parents, 6 community members, and 10 educators who came together twice a month for dinner meetings where every member had an equal voice in providing input into the school’s model and design. Empower High School will open in fall 2019. You can learn more at EmpowerHighSchool.org.